Jinggu area is home of many ancient gardens in high mountains, trees growing mostly in good enviroment. This tea come from single garden in mountain about one hour by car and then 2 hours of fast walking to the top of the mountain. Tea trees are completly in the forest. 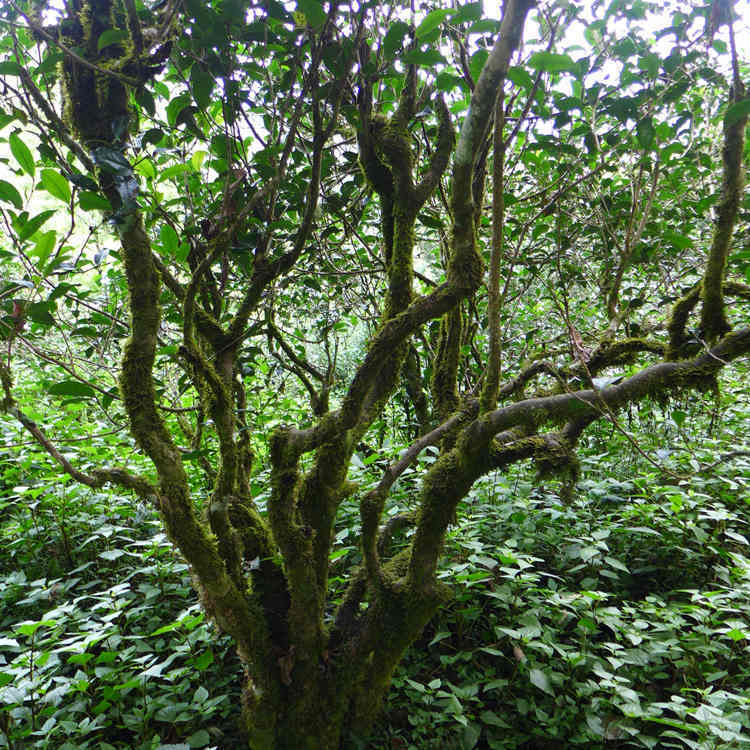 Tea trees are in age 150-200 years. This garden had not been picked for many decades because is too far from the village and the farmer who own it do good business with tobbaco and garden teas around the village. It was picked first in autumn 2014 after very long time of growing wild without human intervention. Tea trees there are extremly tall and is very hard to do the harvest. 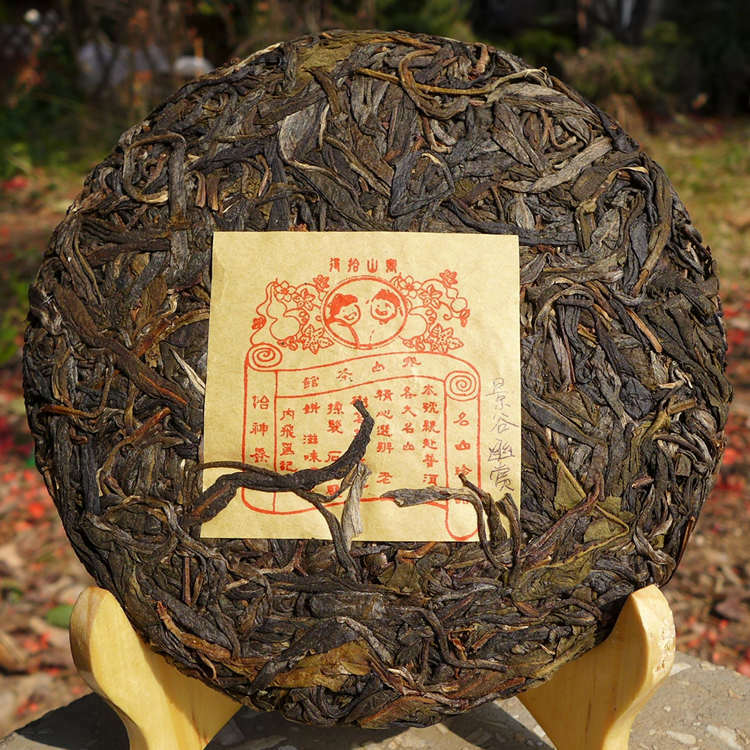 This is an special example of puerh tea when is not overpicked, growing in deep forest and also high mountain. 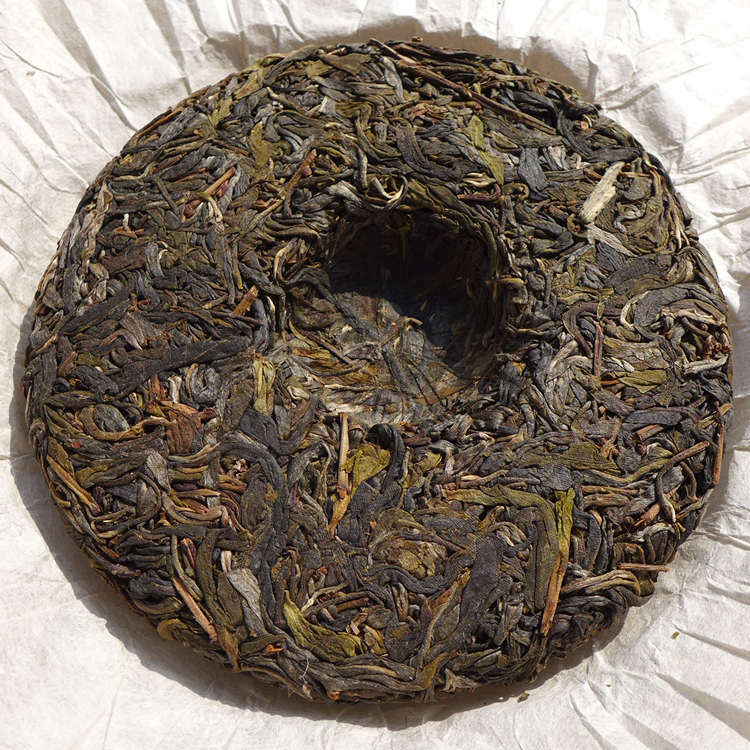 Hand-made processing, sun-dried, stored well until December 2016, stone compressed in traditional way. 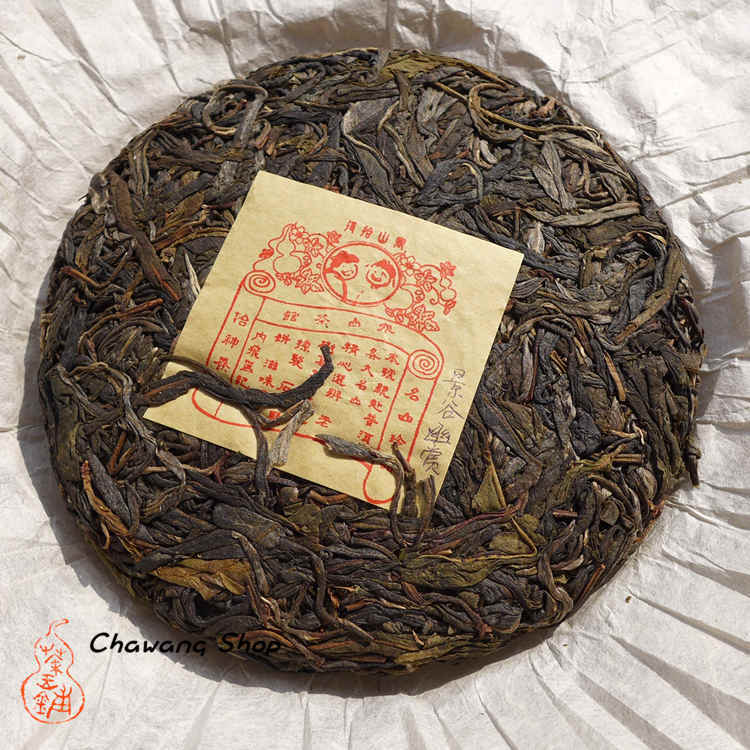 This tea have very unique taste, strong and rich, heavy aroma, slightly bitter in first infusions, with fast huigan. This tea can be brewed for many times.